Imogen's Typewriter. 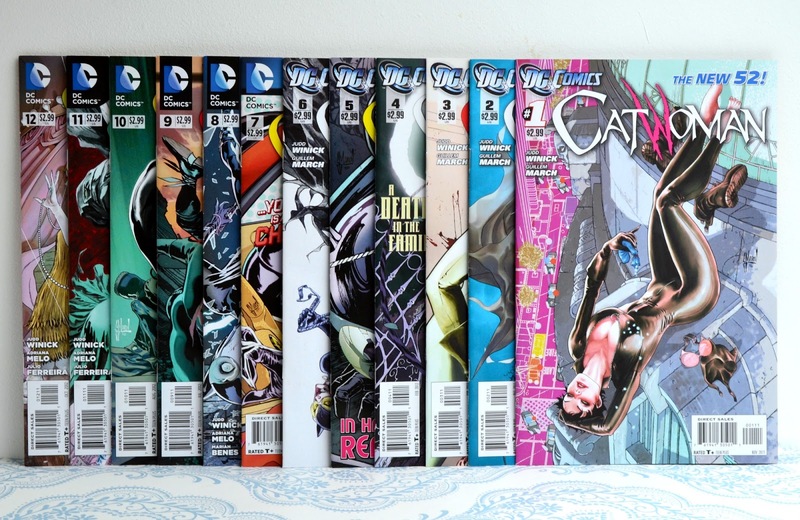 : Comic Books I Read in June and July! To counter my surprising amount of books that I read in July, I didn't read many comic books in June or July. It's just one of those things I guess. I go through phases of reading certain narrative forms and the rest falls by the wayside. #10 featured in this post in June so I was reading them super slow. I love Catwoman. Even that weird Halle Berry movie version. I think she's a great modern, female Robin Hood-type character. Stealing from the rich to give to.. well, herself. But still. There's nothing like taking down some Russian mob leaders to help out the community. I really like the New 52 run. There's an artist change briefly that I wasn't a huge fan of but the main art is beautiful. The storyline flows brilliantly through the arcs and there are several jumping-on points. The story moves fast as she uncovers nefarious plots, goes against different foes, plans to steal from certain people. There's no time to breathe for Selina Kyle. However, I'm finding single issues really difficult to read lately. The story sometimes moves too fast and there's something about the urgency of a new issue each month that bothers me. 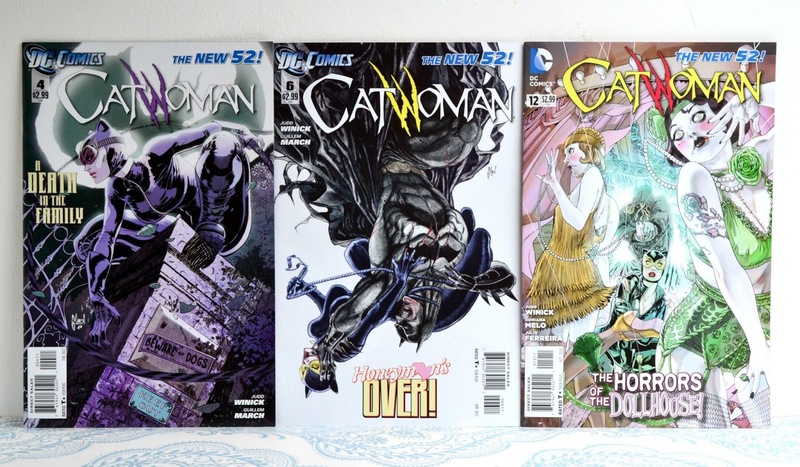 No matter though, because I'll definitely be continuing with Catwoman. She's a Queen. And I had to show off my favourite covers. #4 is super classic 60's Catwoman.